Abbington Green Bed & Breakfast Inn, Asheville NC: Abbington Green Bed & Breakfast Inn, Asheville NC: Asheville NC Legendary Inns are "Gingerbread Central"
Abbington Green Bed & Breakfast Inn, Asheville NC: Asheville NC Legendary Inns are "Gingerbread Central"
Holiday excitement for North Carolina has arrived at Abbington Green Bed & Breakfast Inn! And some of this season's fun is Gingerbread. Scenes from the beloved American holiday poem "'Twas the Night Before Christmas" have come to life as big, beautiful, professionally designed Gingerbread houses. 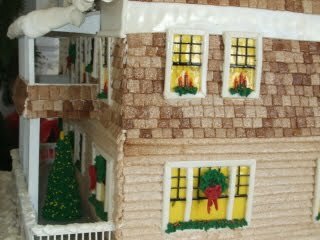 You can see some of Asheville, North Carolina's best Gingerbread houses at Asheville Legendary Inns: Abbington Green Bed & Breakfast Inn and 1900 Inn on Montford. 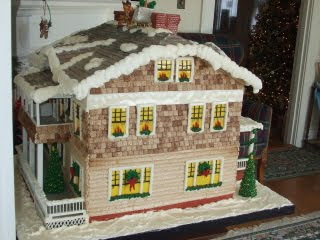 Stay at either of the Inns to see some Gingerbread Houses that will amaze you! Or see all the "Twas the Night Before Christmas" Gingerbread scenes and participate in the Asheville Legendary Inns' "2010 Gingerbread Master-Class and Tour" event. It's every Saturday 'til Christmas. Visit the Inns, all dressed for the holidays with lights, trees, glitter and more. 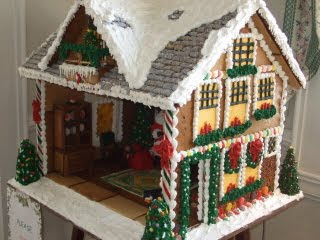 And learn techniques and tips to make building a Gingerbread house a holiday tradition at your home. 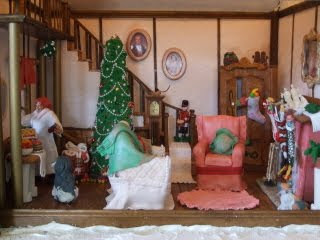 Award-winning Gingerbread artist Deni Cole from the Asheville, NC area shares her considerable knowledge. You can be a beginner, an intermediate or very accomplished...you're sure to enjoy the fun and the new ideas! 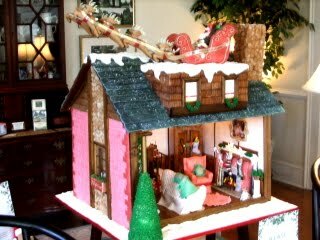 For more information: www.ashevillegingerbread.com.